Maine is also known as the Pine Tree State, recognising the white pine tree found in some of Maine's 17 million acres of forest. The state capital of Maine is Augusta. Maine Travel and Tourist Information with links to official travel and tourism websites and state resources for visitors to Maine. Around Maine, Augusta, Dead River, First US Sunrise, Kennebunkport, Maine Municipalities, Maine Travel Guides, Maine Travel Tips, Portland, Visiting Maine, Whale Watching in Maine. Find out more about Maine before you travel there. Maine is the largest of the six New England states. The others are: Connecticut, Massachusetts, New Hampshire, Rhode Island, and Vermont. Maine is the most north-eastern state, neighbouring New Hampshire and Canada. Produced by the Maine Office of Tourism. Members of the Plymouth Colony of Massachusetts founded the community here as a trading post in 1628. Fort Western, the first permanent structure, was used as a supply base during the French and Indian War of the mid-18th century. Sights include the State House, completed in 1832, and the University of Maine. Most visitors to Maine would want to explore the natural wilderness. The White Mountains extend into New Hampshire and Vermont. Mark Twain once said that if you don't like the weather in New England, then wait 15 minutes. Previews of the region's historic attractions, cultural events, outdoor adventures, educational institutions, shopping, lodging and entertainment. Maine's coastline is long, craggy and has many inlets. What looks like 228 miles on a map, is 3478 miles of tidal coastline in reality; including the offshore islands. The U.S. 1 follows the coastline and connects the main port towns of Maine. Unless you're camping in Maine, the accommodation is not always cheap. Old Orchard Beach is easily accessible by the major highways in Maine. Exits 5 and 6 off the Maine Turnpike (I-95). The wide seven mile stretch of sandy beach and low surf makes it an ideal destination for families with children. Portland was the capital of Maine until 1832, when it was replaced by Augusta. A July 4th firework is said to have destroyed Portland's wooden buildings in 1866. The gutted area was rebuilt with brick and offers many restaurants and taverns around the port area. Portland is a good base for discovering the rugged south Maine coastline and Casco Bay Islands. A lot of fun for a little city -- Portland's Downtown District and the Old Port Retail Merchants Association. The Museum at Portland Head Light is contained within the former Keepers' Quarters. The award winning Museum contains a number of lighthouse lenses and interpretative displays. Make Greater Portland your southern Maine destination for scenic beauty, splendid recreational opportunities and a wealth of historic and cultural offerings. South of Portland is the summer home of former President George Bush, and the retreats of wealthy authors and artists. A charming, historic seaside community, Kennebunkport offers travellers a classic Maine vacation experience; offering a wide variety of activities for the seafaring adventurer or a quiet romantic resort for those seeking that special New England escape. The Kennebunkport Inn: Kennebunkport, Maine. The Kennebunkport Inn. The Kennebunkport Inn offers a unique Maine lodging experience with 49 guest rooms located in the Victorian Mansion, Riverhouse or Wharfside buildings right in Dock Square; the heart of Kennebunkport's shopping, dining and attractions. From the elegant style of the Federal and Mansion rooms to the charming ambience of the Riverhouse to the Maine beach cottage style of the Wharfside complete with water views, there is a room for every taste and need. On-site amenities include the award winning Port Tavern and Grille and piano bar, patio dining at Artemesia's and an outdoor pool. Spa Services are also available where you can relax and pamper yourself with a massage or facial treatment. Village Cove Inn: Kennebunkport, Maine. Village Cove Inn. Nestled on secluded Chick's Cove, in the heart of Kennebunkport, the Village Cove Inn is the perfect place to relax and unwind. This charming year round retreat is nestled amongst the tranquillity of manicured grounds, flowering bushes and towering pines on the banks of Chick's Cove, only a short stroll to the heart of the historic fishing village of Kennebunkport and minutes from some of Maine's most treasured sandy beaches. The Village Cove Inn is hidden away and off the beaten path, yet so close to all the things that make Maine special. Each of the spacious, well appointed rooms have either two comfortable queen size beds or one king size bed. All feature air-conditioning, full bath with separate dressing area, cable/colour TV, telephones (some with internet ports), and coffee-makers with complimentary coffee and tea provided daily. Cadillac Mountain, in Arcadia National Park, is the highest point along the eastern coastline. If you drive up the Park Loop Road early, you can catch one of the first sunrises in the continental United States -- the American day is said to begin in Guam. Most visitor's to Maine's coastline miss out on the acres of forests, lakes, rivers and mountains that the upper north-western Maine region offers. The area is famous for its year round activities including snow mobiling, Nordic and cross-country skiing during the winter as well as canoeing, kayaking and white-water rafting during the summer, not to mention the great fishing and hunting in the area year round..... And northern Maine's fall colours are nothing short of spectacular. Good launching points for activities include Augusta, Waterville, Skowhegan and Jackman. Take Route 201 north off of Interstate 95. Sent in by: Windfall Rafting. It might seem motionless upstream, but a 16 mile stretch in Maine makes it the longest, continuous white-water stretch in the eastern United States. A 12 mile stretch on the Kennebec is also classed as difficult to extremely difficult, thanks to daily infusions from the nearby Harris Station Dam. Windfall Outdoor Center offers white-water rafting excursions on Maine's Kennebec and Dead rivers, with a choice of packages and accommodations to meet your demanding vacation requirements. Daily cruises leave from Boothbay Harbour for those interested in watching whales, puffins, and seals going about their daily business. 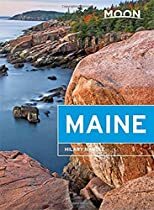 Maine Travel Guides - Maine Maps.